Here Kurt Webber from BlancoLabels discusses how small businesses can determine their target customers. We all know that this is especially poignant in digital settings, and that online consumers prefer more tailored advertisements compared with broad and general ones. But it also matters in a physical landscape; designing shipping labels, brochures, product packaging and even business cards that speak to your audience can translate to big gains. Think of what you put out in the digital world as equally as important as the things you put out in the real world, especially when it comes to brand messaging and storytelling. With all of this being said, identifying your target market can be costly. Small businesses have different budget considerations than large or well-established ones, which makes the process a bit more challenging. Still, it’s important to remember that even if you do have to put in some cash to pinpoint the right segment, there’s a good chance that it will have a pretty big return once you use what you know in your marketing strategy. No matter the size of your business, it’s important that you don’t make assumptions about your target market in your strategy. While your hunches may be right — you know your customer better than anyone else, after all. However, there’s no substitute for good, old-fashioned research. Putting aside your premonitions and instincts will help you overcome confirmation bias, which will help avoid muddled data. 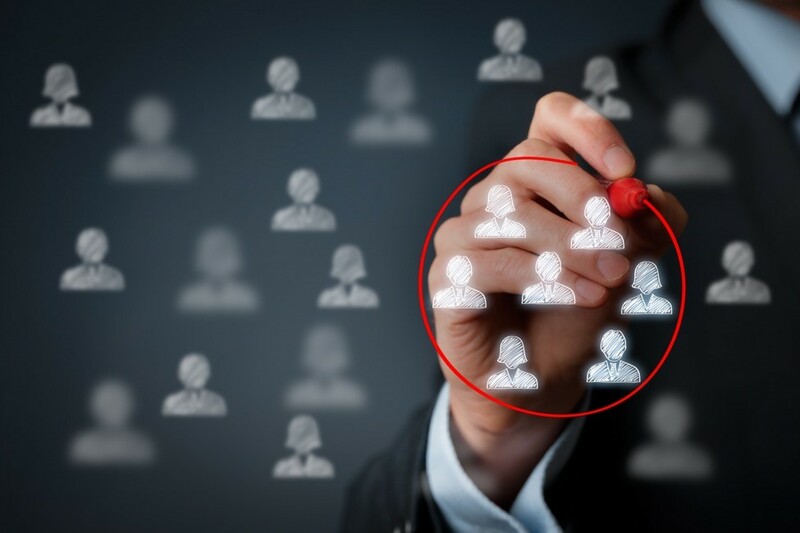 Your loyal customers are key players in your quest for identifying the right target market. They’re already liable to have a positive view of your brand, they’ll likely help you figure things out. We recommend providing an incentive to your customers — a percent-off coupon, a free gift or free shipping, for example — in exchange for filling out a survey. You’ll be able to identify key demographics that your existing customers share in order to narrow down your target market. Even though it seems like a waste of money, A/B testing and other forms of research prove fruitful. The process allows you to test variations of a product and identify how certain groups of people respond to each one. How does this help you narrow your target audience? It allows you to see which groups of people respond more favourably to your brand messaging. This can help you determine where you should funnel those vital marketing monies. For example, a brewery might show two iterations of beer bottle labels to a group of consumers to see which groups respond better to which design. We already mentioned that making assumptions can be detrimental to your target market studies, but using a little bit of empathy can go a really long way. Ask yourself what pain points or problems your product fixes, to determine who is most likely to benefit from it. Take it a few steps further by asking yourself what kind of person would pay for your product or service? What stage in life or the buyer’s journey they’re most likely to pull the trigger? More on small business marketing and social media.